During ISFiT 2017, the Student Peace Prize will be awarded for the tenth time. To mark this historic event, you are all invited to Jomfrugata (in Trondheim city center) on the 18th of February. The marking starts at 11 am and is finished at approximately 12:45. 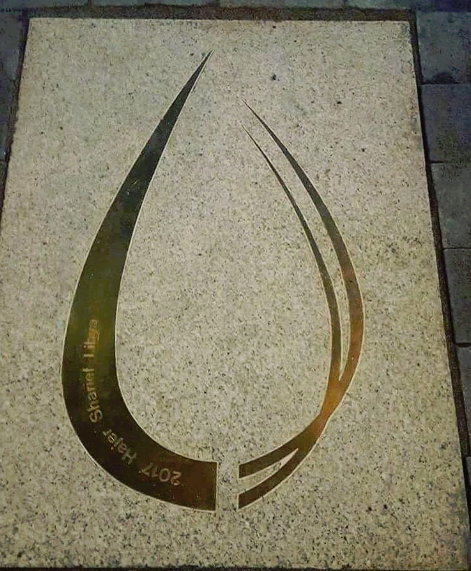 There will be speeches, the reveal of the newest monumental stone put down in honour of this year’s winner, Hajer Sharief, and cultural elements. We have even been so lucky to have 2015’s Student Peace Prize winner, Aayat Alqormozi, to participate. In addition to all of this, volunteers from the Student Peace prize committee will be there to celebrate, answer questions and hand out free waffles and hot chocolate. This will be a great opportunity to have a good time as well as to educate yourself and give support a meaningful cause. Come to Jomfrugata on the 18th of February, and discover the world! We hope to see you there!